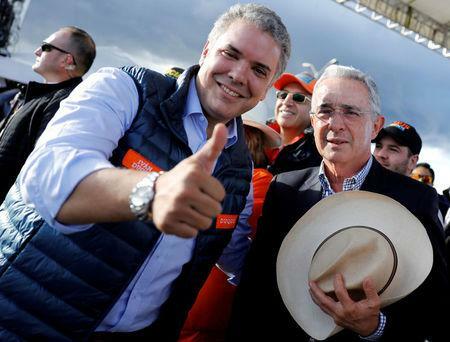 BOGOTA (Reuters) - Embezzled school meal funds, under-the-table vote payments and the extradition of Colombia's own anti-corruption czar for taking bribes are just some of the brazen cases outraging voters ahead of Sunday's presidential election. As Colombians feel safer following a 2016 peace accord with the Revolutionary Armed Forces of Colombia (FARC), voter focus has shifted to other electoral issues and a rash of high-profile corruption cases have taken center stage. In a big year for Latin American elections, corruption is also looming as a major issue in votes in Mexico and Brazil, where candidates seen as unsullied by graft are prospering. Both Colombian presidential contenders - right-winger Ivan Duque and leftist Gustavo Petro - have promised to clamp down on graft through measures including stiffer sentences and forcing the return of stolen public funds, tall orders given the new president will need to pass legislation through a historically corrupt Congress. "I'm sick of corruption. The politicians – what an embarrassment!" said Laura Prieto, a 47-year-old economist and Duque voter. "They should lock them up for life." The candidates seem to hear voter anger on corruption, which costs Colombia $17 billion a year, equivalent to 5.3 percent of GDP. "They've presented more structured proposals on corruption and there's greater consensus in Congress on the importance of fighting it," said Jorge Palomares, a lecturer at Universidad Libre in Bogota. Still, some fear the very body charged with voting on reforms has been among the most dominated by corruption. "Several of the changes must go through Congress and that will mean making agreements with some political sectors that have traditionally been most exposed to corrupt practices," said Andres Hernandez, Transparency International's local director. Both Duque and Petro say corrupt officials should serve time behind bars, instead of the house arrest sentences often handed out to non-violent offenders. Petro would also force those who have stolen public money to repay it. Duque wants to impose term limits on elected positions and make it easier to seize assets, while Petro promises to simplify the reporting of corruption and make high court composition merit-based, instead of allowing judges to be elected by their colleagues. "We're going to take back the last peso stolen by the corrupt. 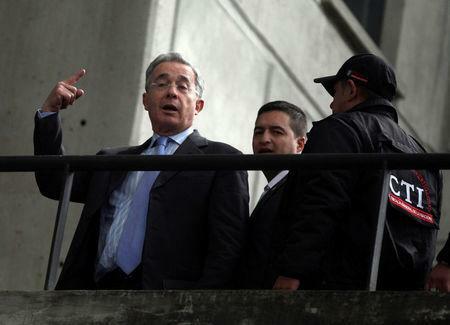 Impunity will not reign anymore," said Duque during a March rally in Medellin. 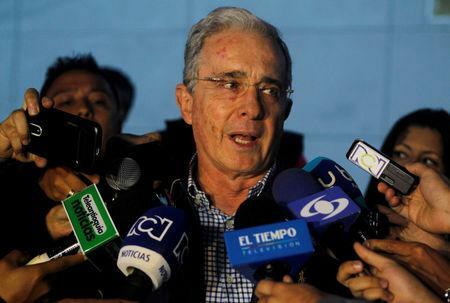 "The only ones who should be afraid of my presidency in Colombia are the corrupt," Petro has warned. To strengthen anti-corruption reforms, center-left senator Claudia Lopez pushed for an August vote that will ask Colombians whether congressional salaries should be cut and sentences for corruption stiffened. The Andean nation ranks 96 out of 180 countries in Transparency International's global corruption index, placing it with Thailand, Panama and Brazil. Mexico ranks 135th. In a case that sparked national outrage in 2016, a food company was accused of embezzling funds for school meals in one of Colombia's poorest provinces. In March, Aida Merlano was accused of buying votes for her Senate election bid and has been imprisoned while an investigation takes place. And in a case that raised eyebrows, Colombia's anti-corruption chief Luis Gustavo Moreno was extradited to Miami in May on charges he had taken $10,000 in bribes. "It's just the most ridiculous case on an international scale," said Transparency's Hernandez. Colombian politicians were also caught up in the trans-regional Odebrecht scandal last year, when the Brazilian construction company was found to have paid $439 million in bribes across Latin America - $27 million in Colombia alone. President Juan Manuel Santos was forced to apologize after revelations his 2010 and 2014 campaigns took Odebrecht funds. The campaign of Santos' rival Oscar Ivan Zuluaga was also investigated for Odebrecht ties, but no charges have been filed. Though voters are hoping the new president will fight graft, experts warn the problem may infect the electoral process itself. Corruption in voting is "sickening" with crime gangs buying votes in the Caribbean city of Barranquilla, Attorney General Nestor Humberto Martinez said this month. "The country is going to be scandalized when they find out," he said, adding details will be revealed only after the vote, though he did not say why. Buying support with food, transport as well as cash are common, according to Cesar Caballero of pollster Cifras y Conceptos. Candidates offer lechona - a dish of pork stuffed with rice, peas and spices - at polling stations and some have started giving more lavish bribes - like electrical goods or up to 100,000 pesos (about $36) in cash, according to the local non-profit the Electoral Observation Mission (MOE). Unlike many politicians, Petro and Duque remain free of corruption allegations, said Hernandez. But Duque is a protégé of former President Alvaro Uribe, whose administration was dogged by corruption investigations. At least nine of his former officials have been jailed. On a cigarette break in an affluent Bogota neighborhood, Beatriz Perez, 42, who works at an investment fund, said corruption in Colombia is not going away. "I don't think either candidate will be able to change it."